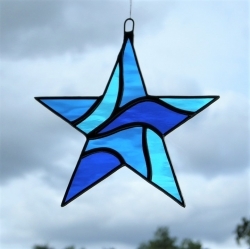 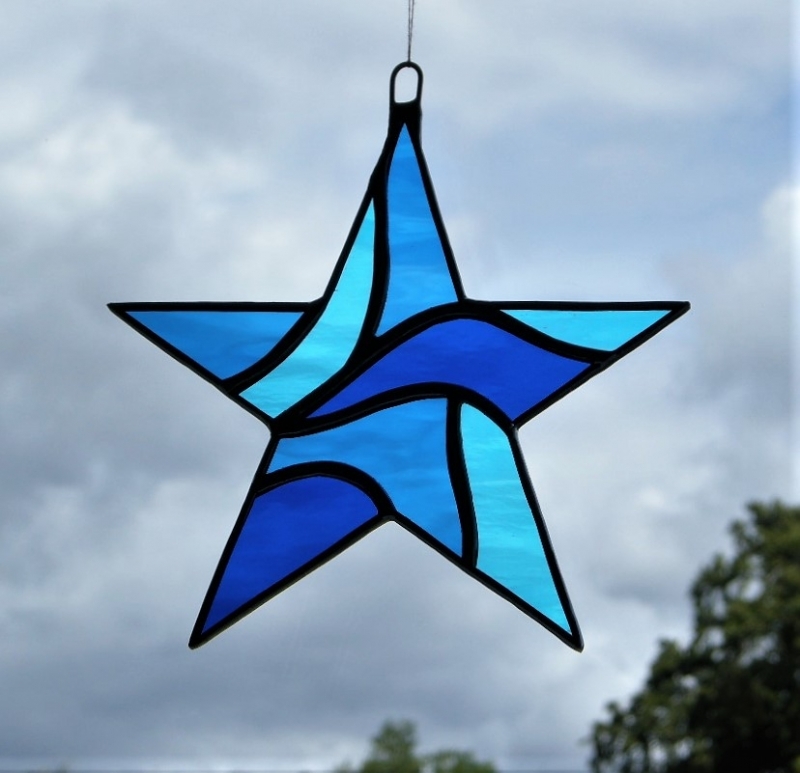 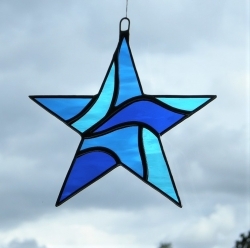 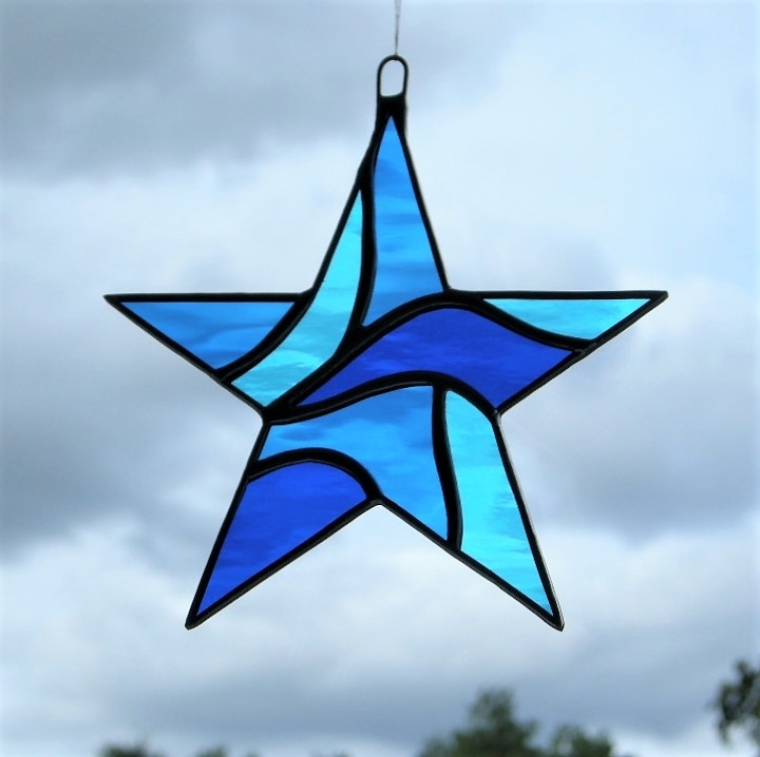 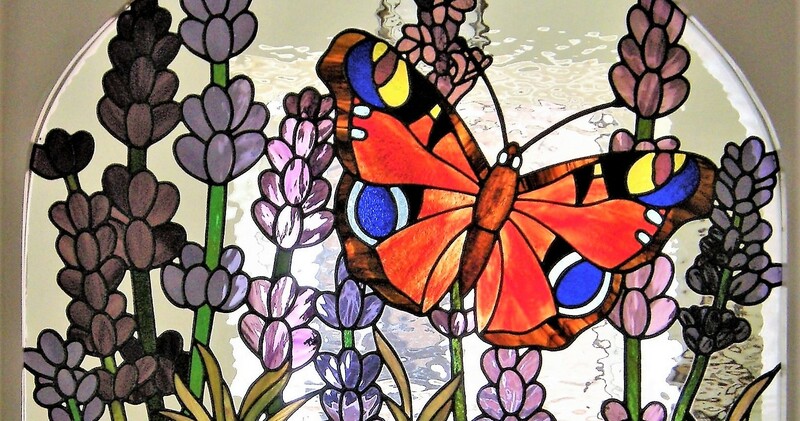 SOLD...…….This beautiful stained glass hanging window ornament (Abstract Star) has been designed and handcrafted by myself using the traditional copper foiling method. The design is effective with a variety of different glass colours and textures of glass used, in this abstract star I have used (cobalt blue, medium blue, and sky blue in rippling water glass) slightly seeded. 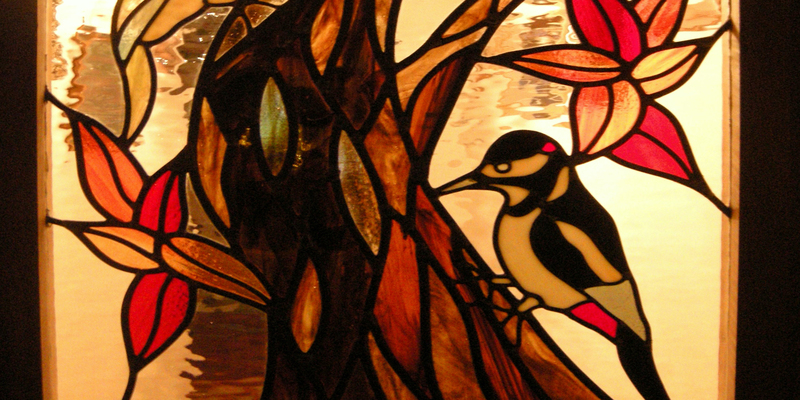 The soldering is then cleaned and polished to give a silver looking effect. 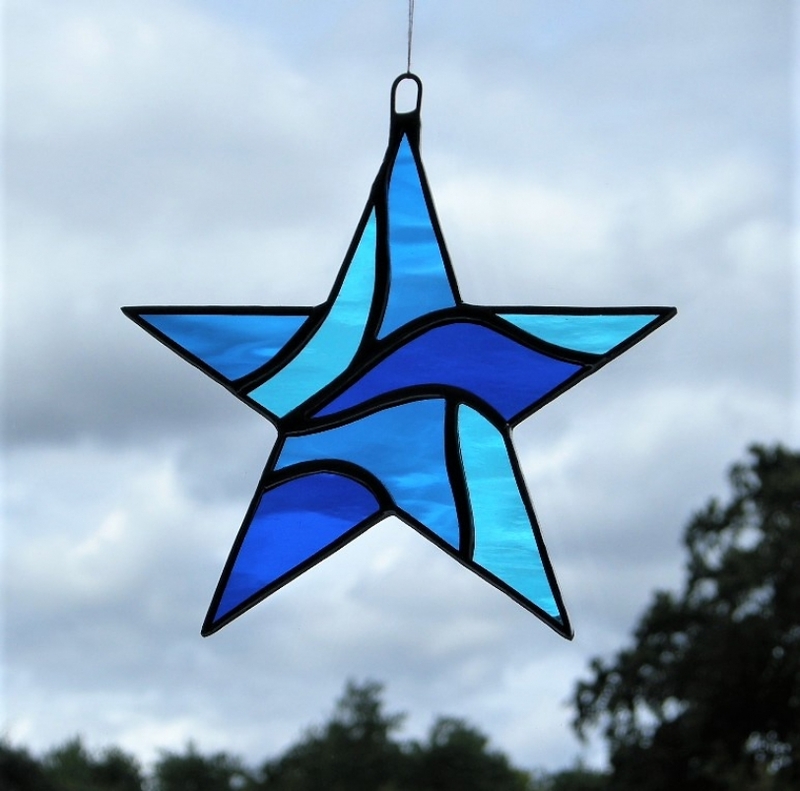 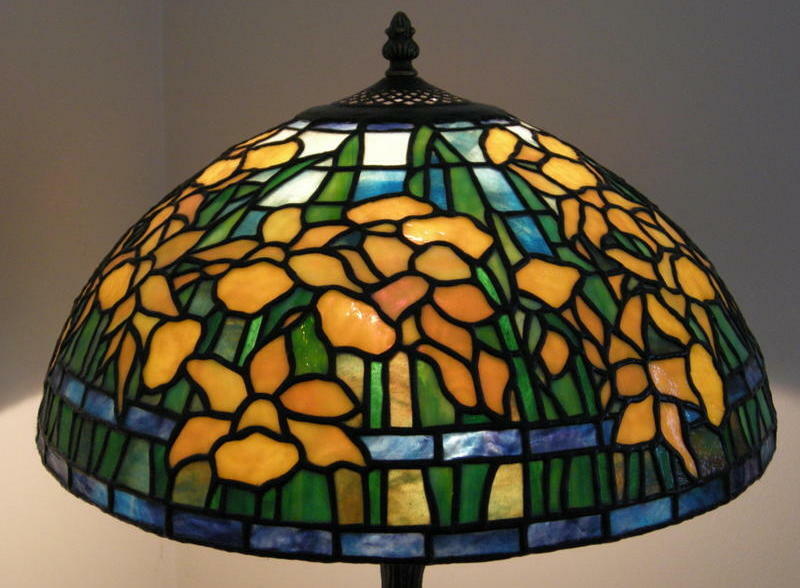 I have taken 5 pictures (on different times/day) to show the difference in the reflections of the rippling water glass in natural light conditions and backgrounds. 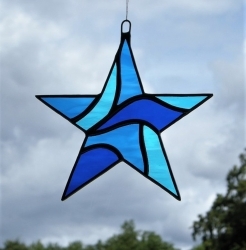 This abstract Star measures 5" (14cm) from point to point. A loop have been soldered on the top of the abstract Star ready for hanging using strong string/thread to your desired length (not included).